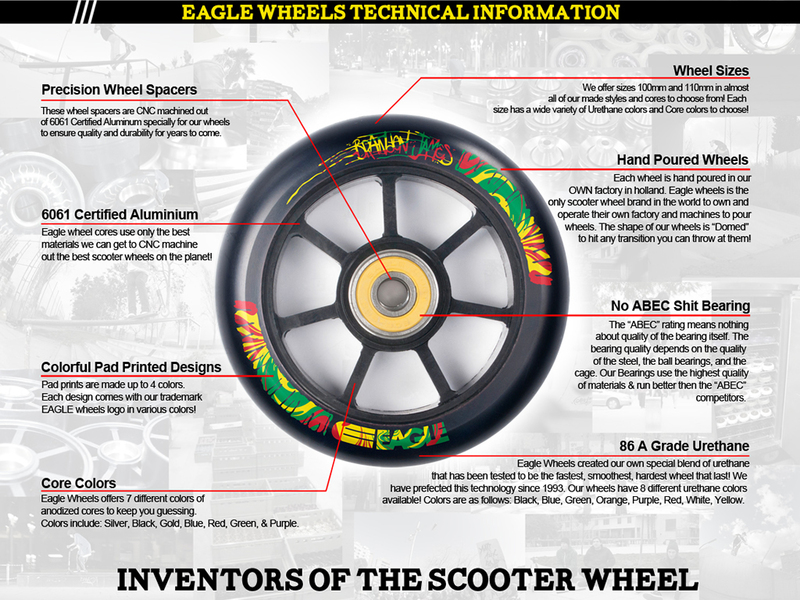 The Eagle team is now made of over a 100 individuals all over the world, ranging from executives and managers, designers and factory workers to sponsored riders. The heart of Eagle is located in Rotterdam in the Netherlands and we have now our international headquarters in California. Our products are designed in between both facilities with feedback from our riders. We pour all our wheels by hand in Holland. We produce everything in our own factory, as it's the only way we can guarantee the best quality needed for the best products in the sport. We have some of the world's best pro riders in our team, be sure to check them out! Together we are one big family. We work as a team to make scootering a better and bigger sport! Thanks for your interest representing our brand. Please, submit your sponsorship request below. Our sponsorship program is set up via our network of retailers worldwide, we recommend you first secure sponsorship with your local shop or an online retailer in your region. We will make sure to reply to you if we are interested in you joining the team. If you do not get an answer from us, keep on shredding, having fun and riding hard! It's all about your passion for riding, not sponsorship! In any case make sure you follow us: Facebook, Instagram and YouTube.